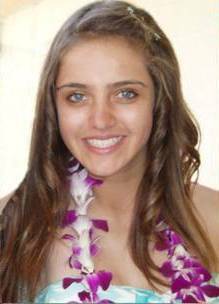 Lindsay Anne Rose died from injuries due to a tragic surfing accident at Sands Beach in Goleta. While paddling out to catch a wave with her friend, Lindsay lost consciousness; she was pulled to shore by her friend. Although resuscitation attempts were made, she never awoke. Lindsay was a stand-out softball player with GVGSA All-Stars and Central Coast Express Travel Ball Team. She also played 5 years on AYSO All-Star soccer teams. Lindsay was enjoying her Freshman year at Dos Pueblos High School, where she was in the prestigious Engineering Academy. She played on the DP soccer team and played shortstop on the DP softball team. She also surfed with the DP Surf Team.